Burgums of the "AA" family tree were baptised, married and buried here. The City of Bristol is divided into several parishes relevant to the Burgum family including Bristol St Philip and Jacob and Bristol St Thomas the Martyr. 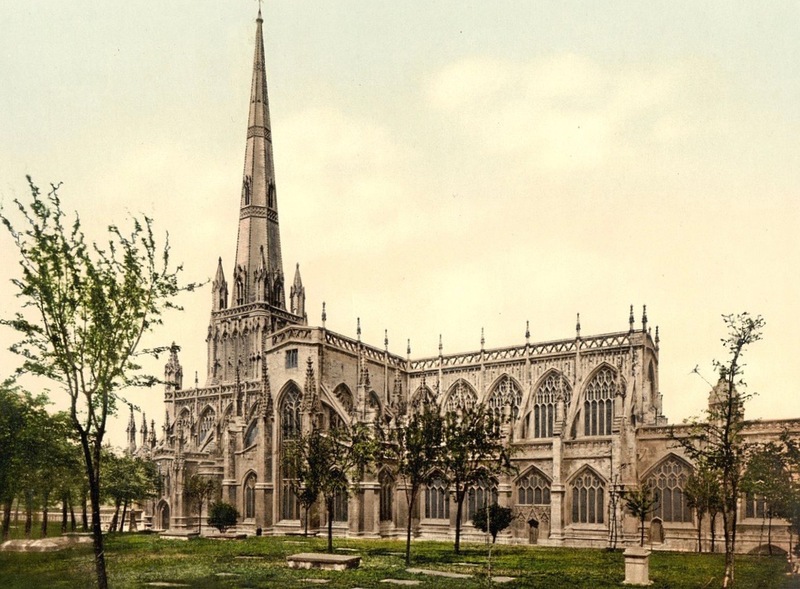 Another church was St Mary Redcliffe, where Thomas Chatterton discovered papers that inspired him to forge the Rowley Poems and create the fake pedigree, which helped lead to the downfall of Henry Burgum, the Bristol Pewterer. Click here for the full story Clifton was included into Bristol in 1835 and several Burgums lived there. Picture (above left) shows St Philip and Jacob Church, Bristol. Picture (above right) is St Mary Redcliffe, in Bristol. Picture (left) shows St Pauls Church, Bristol. Picture (right) is Bristol St Thomas. (Click on a picture for copyright; click back to return). The list below shows the baptisms, marriages and burials that took place at Bristol. Henry Burgum 17 May 1792 Bristol Marriage m=Mary Wilcox YY? Click here for more about Bristol and some of the Burgums and Burghams who lived there.